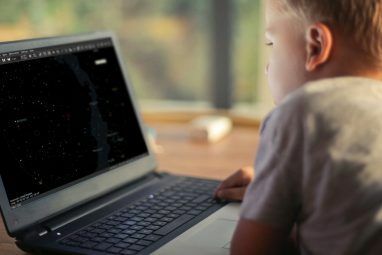 Technology has made learning even non-technical skills much easier. From apps that can serve as guitar tuners 6 Apps and Tools to Quickly Tune Your Guitar 6 Apps and Tools to Quickly Tune Your Guitar Keeping your guitar in tune is more often than not a slow, dull process. Fortunately, technology has come to the rescue, with various apps and tools released that help you tune your instrument. Read More to devices like the Jamstick+ (our review) Learn Guitar with Jamstik+ Learn Guitar with Jamstik+ Before I tell you about this device, I should note that a month ago I had never picked up a guitar in my life. I didn't even know what a fret was. Read More that let you learn to play guitar from scratch, there’s no better time to be learning! A few months ago, Christian shared his story of learning guitar and how Rocksmith helped him play like a guitar pro, but he already had some experience. However, even if you’ve never picked up a guitar before, Rocksmith has all the tools you need to get started and learn to play proficiently. Let’s take a look at the reasons that Rocksmith is the perfect way to start learning guitar, even if you’re never touched a pick. Rocksmith is a video game, but it’s better described as interactive learning software. You won’t find any plastic instruments here — Rocksmith has you plug in an actual guitar or bass into your system to use with the game, and it essentially acts as interactive tabs to teach you how to play songs 4 Awesome Websites To Find Guitar Chords For Songs 4 Awesome Websites To Find Guitar Chords For Songs Read More . Of course, it’s so much more than that, and your ~$40 for the game and cable could be a small investment towards learning an amazing skill. Note that Rocksmith originally released in 2011, but Rocksmith: 2014 Edition is the current version and the one you should buy. 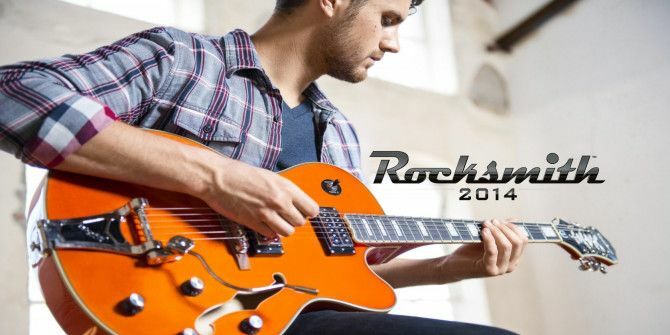 I’ll refer to it as Rocksmith in this article, but know that you want to buy the 2014 Edition. Rocksmith doesn’t expect you to know how to even hold a guitar when you start playing. Upon booting up the game, the first lesson launches and shows you how to attach the strap, hold the guitar, and tune it. Don’t be afraid if you don’t know how to do any of this! The game features videos with every of the 80+ lessons that can be replayed anytime. These cover everything from the bare basics that you’ll need to master before attempting to learn songs (like how to hold a pick and strum properly) to helping you learn expert techniques like two-hand tapping. Each lesson also includes a practice track at the end which tests your mastery of the material. Rocksmith learns from your mistakes. After every run through a song, the game lets you know what percentage of notes you hit, as well as three personalized action items to look over. If you struggled a bit with string bends in the song, it recommends you review that lesson. 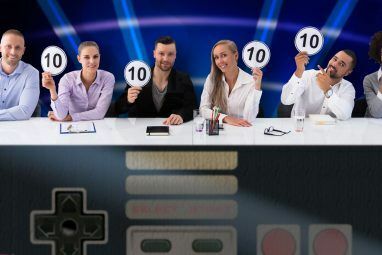 Maybe there’s a particular chord in the song that you have trouble hitting — the game features full-screen chords that you can review at any time if you’re struggling. Of course, the most adaptive feature in the game is also one of its most helpful — the game adapts the difficulty of the song to your performance. Each song is broken into sections; the first time you play a song, you’ll be playing just bits and pieces of the full song. As you perform well in a section, Rocksmith gradually increases the difficulty Don't Be Scared: These Games Are Super Fun on Easy Mode Don't Be Scared: These Games Are Super Fun on Easy Mode Whether you're brand-new to video games or just want to have some fun without too much work, here are games with a great Easy option to check out. Read More until you’re playing the actual notes to the song. Thus, you can jump into songs that you once thought impossible at a low level and work your way up. It’s exciting to see the progress! So what happens when you hit a really tough section of a song? One of the greatest strengths of learning from Rocksmith comes into play — the Riff Repeater. This tool is so important for beginners because it gives you complete control over any section of any song that you want to practice. Want to start running a section at 25% speed, gradually increasing it as you hit the notes perfectly? You can do that, and Rocksmith makes it easy. At any time, simply hitting one button brings up the Riff Repeater, where you can choose your options. Keep hammering away at that tough part at half-speed (the game automatically brings you back to the start of the section so there’s no downtime when you want to try again) and eventually, you’ll nail it. The unique part of this is that the music still plays at the slower speed, so if you’re worried about notes blending into each other, you can separate them and still hear the music clearly. 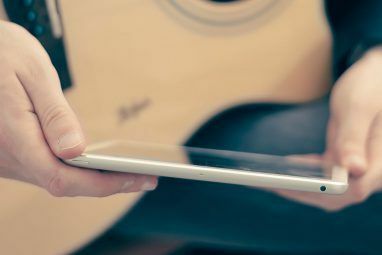 You couldn’t do that with other methods of learning guitar 5 Free Apps That Help You Learn and Play Guitar 5 Free Apps That Help You Learn and Play Guitar If you're trying to learn guitar, these Android apps will be super useful. Read More ! As awesome as learning songs is, when learning the guitar it’s important to learn the fundamentals so you aren’t practicing the wrong way. Rocksmith makes this fun with a collection of retro-styled games Easily Turn Your Android Device into a Retro Gaming Hub Easily Turn Your Android Device into a Retro Gaming Hub With an Android device, you can easily play all sorts of retro games made for systems like the Nintendo 64 or GameBoy Advance! Read More that play like classic arcade games but are meant to teach at the same time. String Skip Saloon, for example, gives you practice on moving around the strings quickly. Castle Chordead makes sure you know your chords by using them to fend off the undead Can't Wait For The Walking Dead? These Zombie Games Will Hold You Over Can't Wait For The Walking Dead? These Zombie Games Will Hold You Over If you love the undead, you need to check out some of the classics in gaming as well as some new titles that really bring out the terror of a zombie apocalypse. Hey, why be... Read More . These games might not seem as glamorous as rocking out to a song, but they’ll make sure you have a solid foundation and are a fun way to practice techniques that could otherwise get boring. Rocksmith lets you learn lead or rhythm guitar, along with bass. Lead guitar is probably your best to start out with, but rhythm has its merits, too. The differences in these depend on the song; some rhythm tracks take completely different routes from the lead track. The other awesome feature is Emulated Bass, which allows you to try out the bass part of a song by using your guitar as a makeshift bass. You might be more interested in bass StudyBass: Free Electric Bass Guitar Lessons Online StudyBass: Free Electric Bass Guitar Lessons Online Read More after trying this! With over 50 songs in the base game, a $10 downloadable bundle with most of the music from the first Rocksmith, and a brand-new DLC pack added every Tuesday, there’s plenty of music to discover here. The Riff Repeater (named after the in-game feature) is your best guide to Rocksmith DLC. Their YouTube channel contains videos of almost every new song so you can see how difficult the track is and weigh if it’s worth spending your money on. Learning with Rocksmith will not back you into a corner. After playing consistently for a while and getting away from it, you can come back and pick up right where you left off after just a few hours of catch-up practice. Once you get more proficient, Rocksmith offers more methods of play to scale to your skill. One of these is Session Mode, which lets you set up a virtual band Start a Virtual Band Using JAM With Chrome Start a Virtual Band Using JAM With Chrome Being in a band while growing up is one of those rites of passage many people go through. Unfortunately it's only a select few bands which break out of their local vicinity to experience nationwide,... Read More that follows along as you jam. It’s a great way to improvise and try to play some music outside of what’s recorded in the main game. Master Mode, turned on by default, also goes a long way towards making you an expert. Once you reach a song’s full difficulty, the game slowly starts to fade away the on-screen notes in sections that you’ve mastered, in the hopes that you’ve memorized them. Of course, if you’re not ready when Master Mode starts activating, you can disable it in the options. One thing you’ll see all over the Rocksmith subreddit (which you should absolutely visit, as it’s a great resource) is that you should supplement your learning in Rocksmith with another source. One that comes highly recommended by most is the free Justin Guitar, which teaches you the basics from another perspective. Justin or another resource could help you fill in some gaps from Rocksmith, so be sure to check those out if you want another source of help. Compared to other methods of picking up the guitar Play Guitar Better No Matter How You Read Music With TuxGuitar Play Guitar Better No Matter How You Read Music With TuxGuitar TuxGuitar is an opensource multitrack tablature editor. With TuxGuitar, you will be able to compose music (and learn at the same time) by using features such as tablature editing, score editing, and triplet support. It... Read More for the first time, Rocksmith 2014 is one of the cheapest and most enjoyable ways to learn the guitar. Although it can’t teach you everything there is to know about the instrument, it makes practicing fun. Spend just an hour with the game each day for two months and see where it gets you. Check out the lessons and learn real guitar techniques that you can apply to your favorite songs. It’s such a rewarding experience to feel yourself getting better at playing the guitar and Rocksmith will have you on that path in no time. What’s keeping you from learning to play guitar? Let us know if Rocksmith sounds like a good option to you down below, and feel free to share your experiences if you’ve learned with the game! Explore more about: Educational Games, Guitar, Video Game Review. "a $10 downloadable bundle with most of the music from the first Rocksmith". Where do I get this bundle?